Happy Monday and Happy JUNE! I hope you had a great weekend. 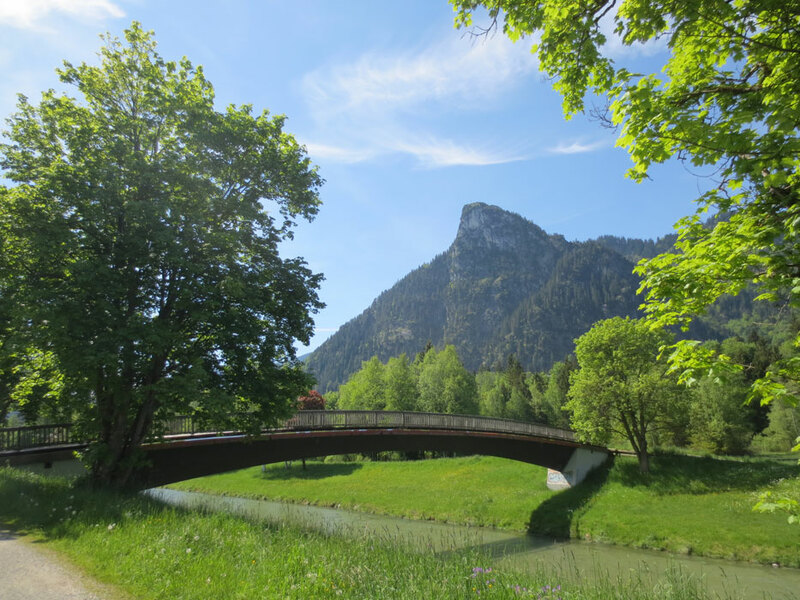 If you follow me on Instagram and Facebook you know that I am traveling and by now you have figured out where I am – Oberammergau, Germany. But what you might not know is that I lived here for four years. My mother is German and from Oberammergau. So this is a very personal journey for me. I lived here many years ago when I was in elementary school. In fact, I attended grades 2-5 here and I learned the language while attending German school. My first communion took place in the St. Peter and Paul catholic church. I have fond memories of living here and have come back many times and brought my family with me. This time however, it’s just me and my mom. A girls trip so to speak. 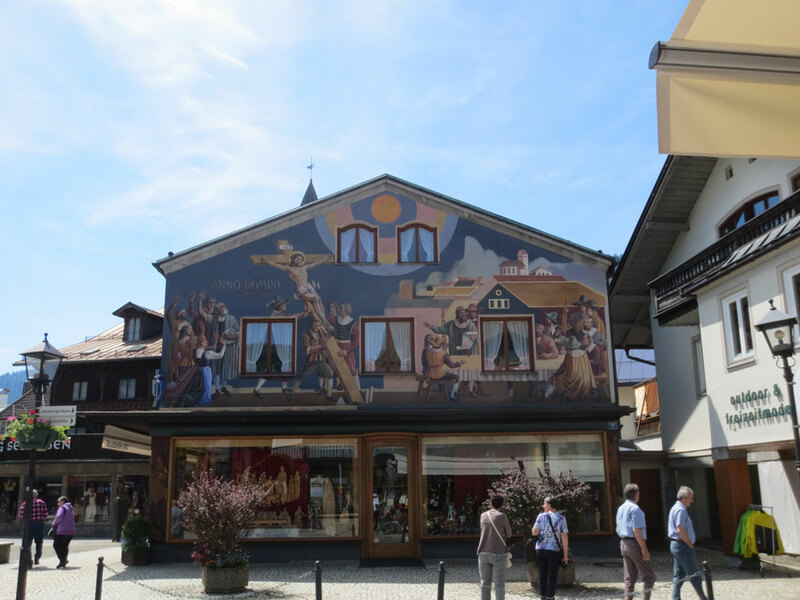 In case you don’t know, Oberammergau is in southern Bavaria near the Austrian border (60 miles south of Munich). It is situated in the German alps and is a town of about 5,000 people. 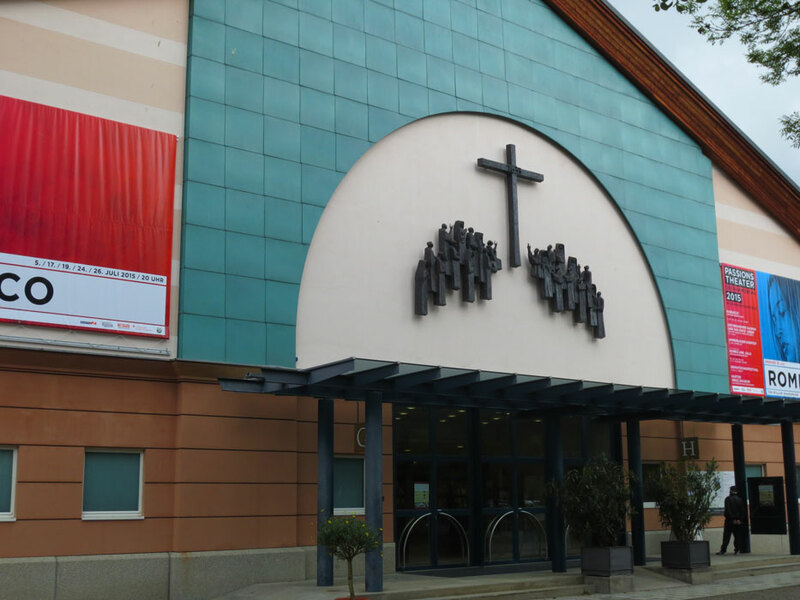 It is charming and most known for the Passion Play which is performed every ten years. My mother and relatives have all performed in the Passion Play in various ways over the years and I attended and watched the play in 2000. The next one will be performed in 2020 and you can get tickets here. It started in 1634 when the town villagers promised to play the life and death of Jesus Christ every ten years as a thank you for being spared from the black plague. It is such a moving performance to see, especially the crucifixion scene. The play starts with Jesus’ entrance in to Jerusalem and ends with the Ascension. You must be a resident of Oberammergau to be in the play. It is performed May – October five days a week and 4,500 people fill the theater daily for each performance. It is hard for me to be a tourist here as it feels like my second home. I have truly enjoyed reconnecting with my relatives and spending time on daily walks around the village. For this blog post, I have compiled a list of interesting things to do. They include visiting King Ludwig II many castles including Schloss Neuschwanstein (this is the castle that Walt Disney looked at to design Cinderella’s Castle when creating Disneyland), Schloss Linderhof – his vacation castle and the only one he completed, touring the Passion Play House, Oberammergau Museum and Pilatushaus, you can go to the next town and visit the monastery in Ettal, and enjoy a lot of local beer and sausage as well as fresh-baked goods. There is no nightlife but there is a lot of beauty in this town. Hiking and mountain climbing are all right here. Plan: The summer months are high season and it is glorious here. The temperature is similar to a small town in the Colorado mountains. I always start my travel planning by visiting TripAdvisor first. Read the reviews and comments people leave. They are very helpful. 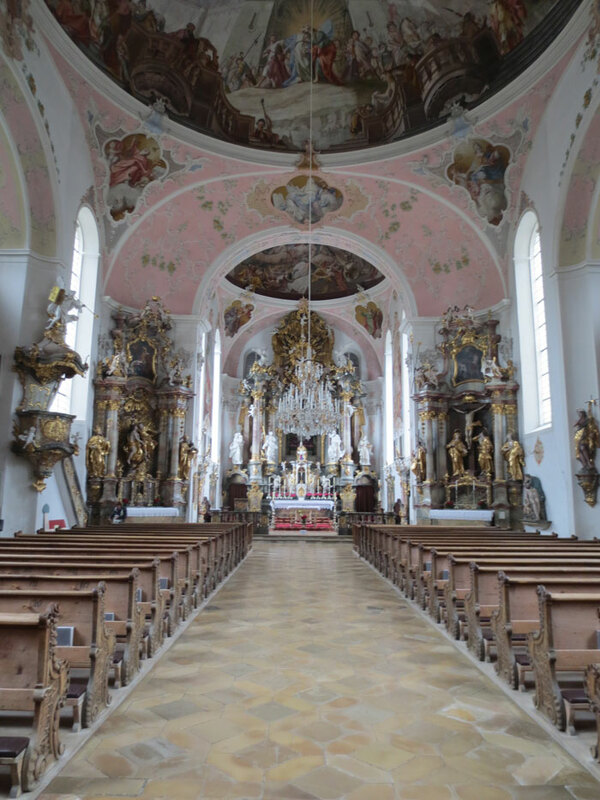 Travel: We typically route Dallas – London – Munich and then it’s about a 60 mile drive south to Oberammergau. All major carriers can route you but I booked American Airlines and British Air this time. 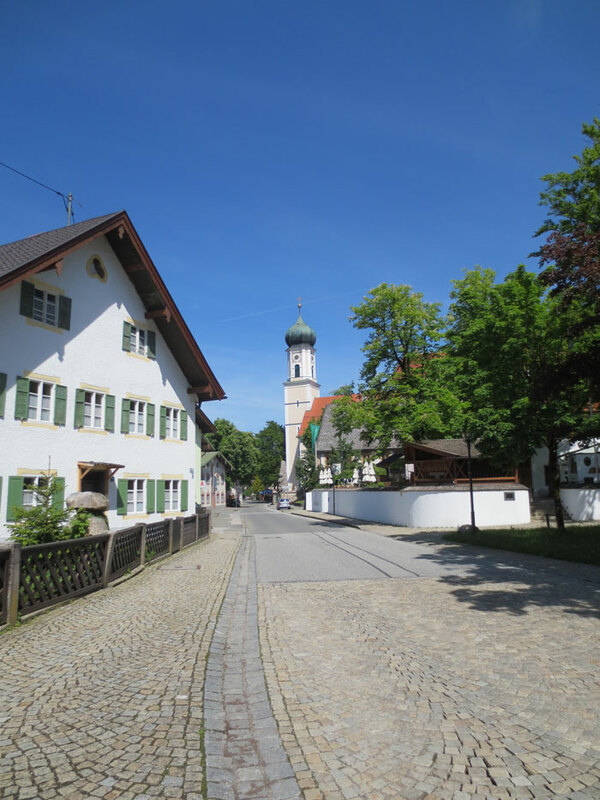 You can rent a car at the Munich airport or take the train to Oberammergau. 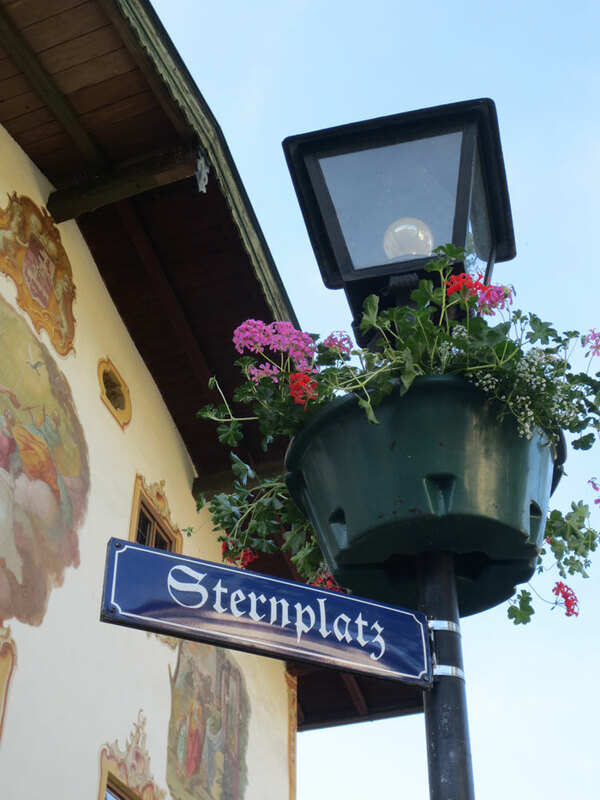 Lodging: There are many great hotels and bed & breakfast establishments in Oberammergau with very friendly staff. Some recommendations are Hotel Wolf (this is an incredible dog-friendly hotel with dog activities and separate dog chef) , Hotel Bold, Hotel Maximilian (they have a spa) and the “ferienwohnung” we stayed in can be booked here (much more room, like an efficiency apartment). All hotels have restaurants and the ferienwohnung and Bed & Breakfast’s include daily breakfast in their price. Buy: Hand carved goods at any of the woodcarving stores. It is an art form that they are very proud of. 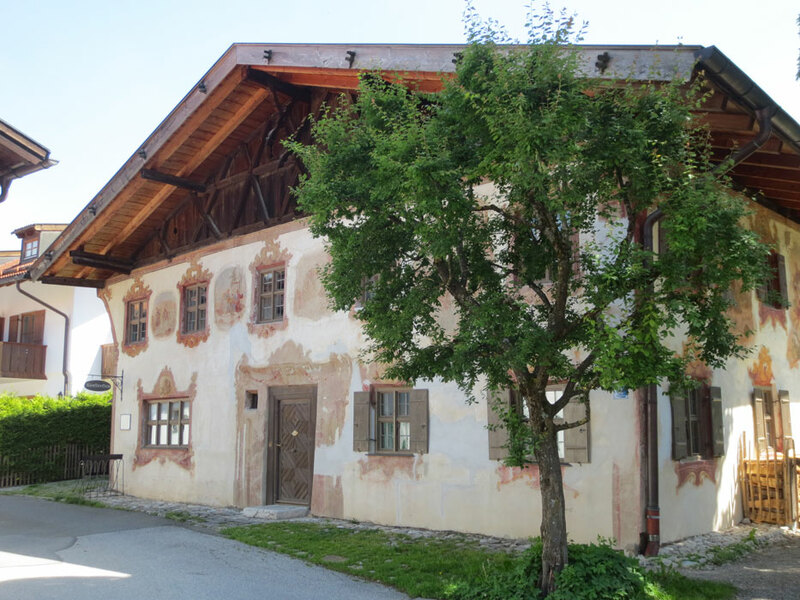 In fact, there is a woodcarving school located here. And they have two of the Kathe Wohlfahrt Christmas stores in Oberammergau. By the way, there is a Christmas market every December in the town. December is a beautiful time in this village as it is covered in snow. A scene worthy of a postcard. This is an amazing place for a family vacation. It is always clean and the people are charming and friendly. After a few days, you will feel like a local. Perhaps that’s why I am always happy to return. My husband and I are taking a trip that includes time in Salzburg and Munich this November/December. I hope we will have time to stop in Oberammergau. Schloss Neuschwanstein is already on our must-do list. I am part German…but, unfortunately do not speak the language. Oberammergau looks beautiful!!! And, I would enjoy a small unique town of 5,000, where everyone knows who you are…and help is not far away! It would be so nice to walk down the street, where people actually smile at you, or start to chat with you. Hope you’re having a blast!!! Exactly last christmas I’ve been to Germany, but never thought of visiting this place! It looks amazing! This looks so lovely. I have friends in Germany and I do want to go visit. this is gorgeous. that palace is amazing. Marvelous place to be! I love to discover places like this, where tourists are not yet there to destroy the nature. This looks like a great place to visit. You took such wonderful photos of the place. If you would love to see a great Passion Play but don’t want to leave the US, the one in Eureka Springs, Arkansas is fantastic! 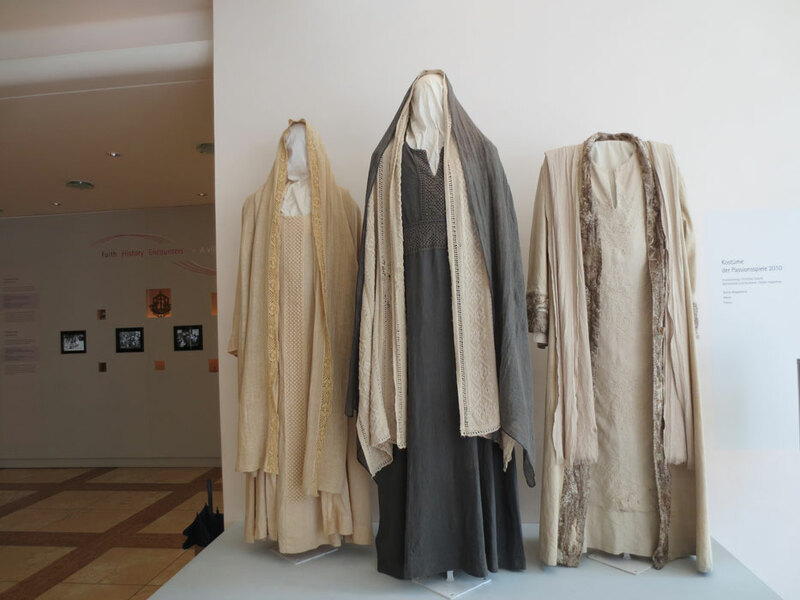 You can Google “Great Passion Play Eureka Springs” and find their website for more info. What a quaint town. 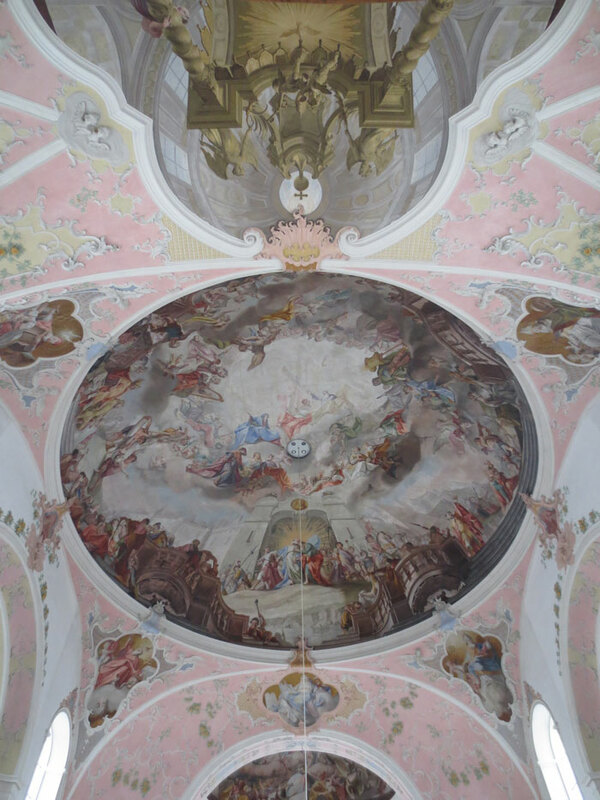 The church frescoes are gorgeous. It must be cool to be or have lived in such a lovely place. I’ve never heard of Oberammergau before. It looks like such a charming and picturesque destination to visit.